Daphne Dragona is a media arts curator, writer and researcher living and working in Athens and Berlin. Since 2001, she has been collaborating with centers, museums and festivals in Greece and abroad for exhibitions, conferences, workshops and media art events. Among them are the National Museum of Contemporary Art (Athens), LABoral Centro de Arte y Creacion Industrial (Gijon), Alta Tecnologia Andina (Lima), Goethe-Institut Athen and the Hybrid City Conference organised by the University of Athens. 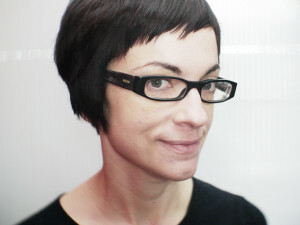 Daphne has worked extensively on game art, net and network based art as well as on artistic practices connected to the urban and digital commons. Her current research and curatorial practice particularly involves critical data-driven art, playful exploits and off-the-cloud initiatives, explored as tools for users’ empowerment and emancipation. Articles of hers have been published in numerous books, journals and magazines. She was among the main curators of Transmediale 2015 – ‘Capture All’.